Consumer education, the sales process, and product configuration have historically been delivered via sales rep, brochure, and eventually a presentation on a computer. That required lots of reps, lots of paper and lots of talk. We hadn’t yet invented websites, interactive educational tools, educational video on demand, online product configurators, internet connection to centralized customer service reps, or online ordering/payment systems. Consumers found it difficult to self-educate, and so expected full-service education, not self-service. Besides, a high-dollar commoditized product (e.g. Ford vs GM, Toyota vs Honda) required closers to drive sales. Back in the day, variable product/performance fed a consumer perception of a need to test-drive the local auto inventory. You used to test drive several of the same model vehicle at the dealer, and pick the vehicle that you liked best. Offering unit choice in each local community drove up inventory requirements, and that inventory was originally financed by dealers (in the same way that distributors often buy stocking inventory from medical device companies). Not at Tesla. At Tesla, you can test drive a sample car to experience the Tesla ride, but the exact unit you purchase comes directly from the factory. Traditional mass production in the auto industry led to a build-to-inventory manufacturing strategy, again resulting in a large amount of finished goods inventory, and lots of finished goods real estate to house the inventory. Dealers have been useful to store and manage all this inventory, and get the inventory (and all that land) off the corporate balance sheet. Tesla’s built-to-order, factory-customized cars eliminate both the inventory and the need for large amounts of real estate. Yup, Tesla even runs a backlog. Inventory in the traditional automotive dealer channel dwarfs inventory in the production process, but inventory in Tesla’s channel is tiny. With build-to-inventory at the factory, a lot of automotive product customization has historically been done by the dealer, requiring lots of garage space and a fleet of service reps. Automakers needed dealers to rapidly scale up and maintain this configuration infrastructure. Not Tesla, with its modern build-to-order factory. An intrinsic need for regular preventative maintenance (e.g. oil changes and tuneups), coupled with less-than-stellar product reliability, has required lots of service facilities and lots of service reps. Again, this has been supported by dealers, who purchase lots of OEM parts. Service has traditionally been seen as a profit center, and dealers make most of their money on service. As Business Insider wrote recently, Tesla CEO Elon Musk says: “Our philosophy with respect to service is not to make a profit on service. I think it’s terrible to make a profit on service,” Tesla drives service to break even, and should not profit when product fails. There have been many unintended consequences of the dealer system. While consumers are generally brand loyal, dealer reps can develop strong relationships with consumers. Customers often return to the same sales rep time and again, and if the rep moves dealers, the customer often moves too. 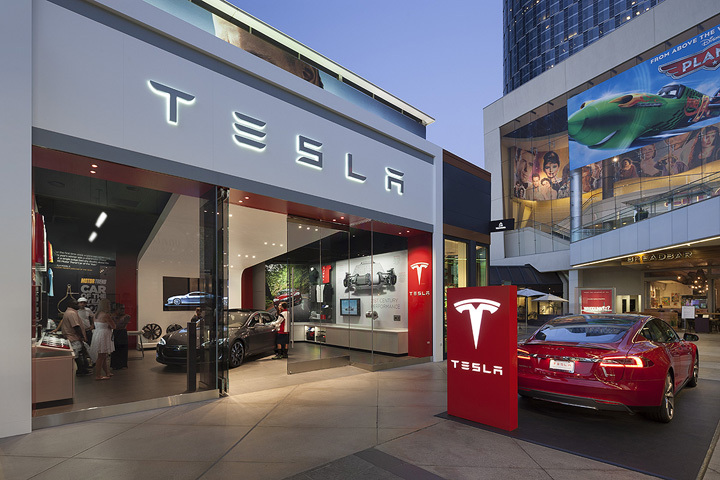 Tesla’s dealer-free model places more of the focus of the relationship on the company and brand, rather than the rep. The automotive dealer network caused manufacturers to resort to indirect methods of gathering product configuration and product failure data (e.g. inferred from sales of OEM parts). In the dealer system, the standard for gathering consumer information is surveys (e.g. advertising effectiveness, consumer satisfaction, market research). Tesla’s dealer-free approach gives it direct access to the features customers want and what they will pay. Tesla also has high-resolution data on field product failures. Medical device distributors served almost the exact same functions as automotive dealers. Medical device distributors can bring important value: an existing brand reputation, local market knowledge, and existing customer relationships. And while going direct is easier and cheaper than ever, going direct still takes time, money and effort which slows geographic and revenue expansion. The lesson from Tesla is that the assumptions underlying the traditional medical device distribution model have changed. and for many companies, a new approach may be best. For example, perhaps the traditional distribution relationship might morph into the distributor as a contracted marketing/sales team. How can you leverage new communication technologies to reinvent customer education, the sales process and product configuration? Are you willing to make significant investments in interactive product configurators, customer self-education tools, web-based advertising and centralized customer relationship management systems? What is the real value of holding inventory at multiple distributors in the field, versus shipping to customers from a central, company-owned warehouse? Is short term revenue (e.g. driven by stocking sales to distributors) really the metric by which you and others deem your business to be successful? Is build-to-inventory still the right production strategy, or might build-to-order or configure-to-order make the forward supply chain more efficient? Can your product be designed to dramatically reduce preventative maintenance? Can service be performed at centralized depot repair centers, rather than throughout the field? How valuable is a direct relationship with your customer? How valuable is high-resolution data on customer preferences, customer satisfaction, product usage, and product failures?